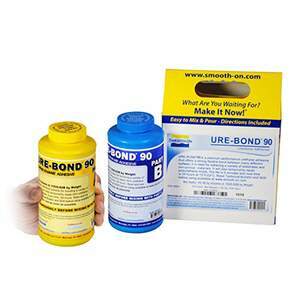 URE-BOND™ 90 is a two component, slightly expanding urethane adhesive that offers a strong, rigid bond between many different surfaces. 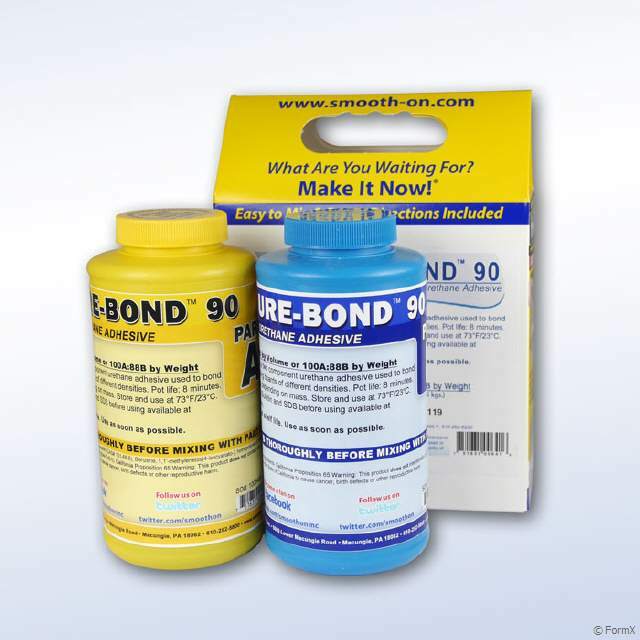 It is often used to bond segments of tooling board as well as other porous and non-porous, rigid substrates. Working time is 8 minutes, handling time is 4 hours and full cure time is 16 hours at room temperature (73°F / 23°C). Pour or brush on to prepared surface. Position and affix other surface to substrate and clamp together for 4 hours. Cure time can be reduced by applying mild heat.